It’s that time of year again for our annual Family Fun Day. 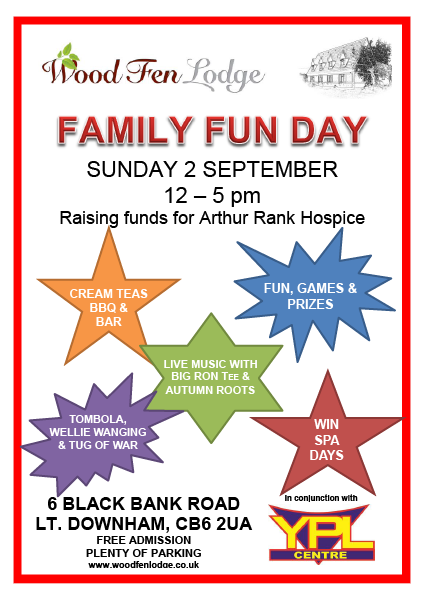 This year we are raising money for the Arthur Rank Hospice in Cambridge. We will have everything from games and prizes (you could win a spa day! ), to cream teas, a bbq, bar, and tombola. Plus we will have live music from Big Ron Tee & Autumn Roots. It’s a not to be missed event – so do come and join us, bring the family and help us raise money!